Economic growth policies, local innovation ecosystems, better know-how, strategic plans… all are tools that increase economic development. With the Harvard Center for International Development, my role in Sri Lanka (2016) was to support the tourism vision and to develop analysis and recommendations of tourism development zones, the tourism informal sector or the capabilities of government offices. 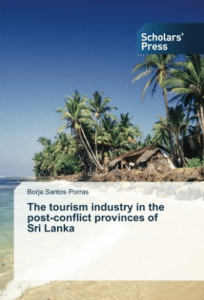 I published this book about the tourism industry in the post-conflict regions of Sri Lanka.